We begin by designing each item in clay. 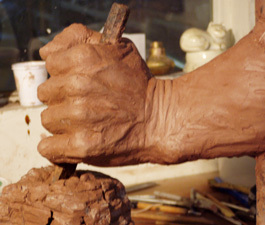 The clay is then baked and will be used for reproducing the design in bronze using a mold. 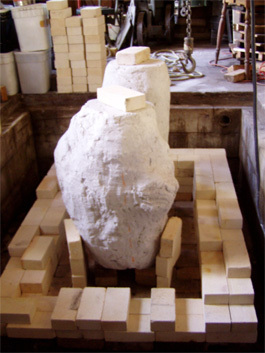 To make a rubber mold, a plaster waste mold is filled with plaster. The rubber mold is then filled with wax and a cacoon is made around the wax. 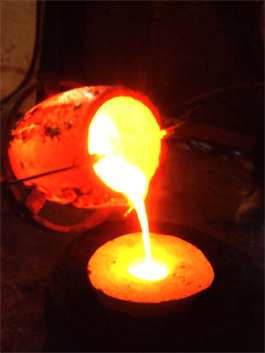 The wax is melted out and the molten bronze is poured where the wax was. Once the bronze has cooled, it is taken apart thus exposing the casting. 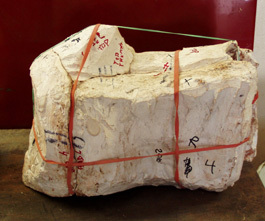 The casting will require grinding and is then sandblasted in preparation for its finish known as a patina. A true patina is a subtle and desirable quality brought about in the course of time by OXIDATION. The color depends upon environmental conditions. For example sulfur in the city atmosphere will turn bronze black. If sited by the sea, bronze will turn green due to the salt air. To hasten the oxidation process of our finished bronze casting we brush on different solutions and apply heat using a blow torch to achieve the desirable finish. Many factors govern the results; temperature, strength of our solution and composition of the bronze, just to name a few. For this reason no two patinas are identical. A patina that is produced by mother nature is corrosive due to the acidity of our evironment, thus it is not good for the sculpture. It should be removed and be replaced with a clean man made patina and lacquered for protection.